Prince Harry is well-established as being the more unconventional and cheeky heir to the British throne, with his big brother, Prince William, inheriting the responsibility of one day being king. Because of this, we have been able to see a lot of Prince Harry's fun-loving side — but that's not to say that he can't be serious or that he's not an influential leader with a passionate voice for many causes. 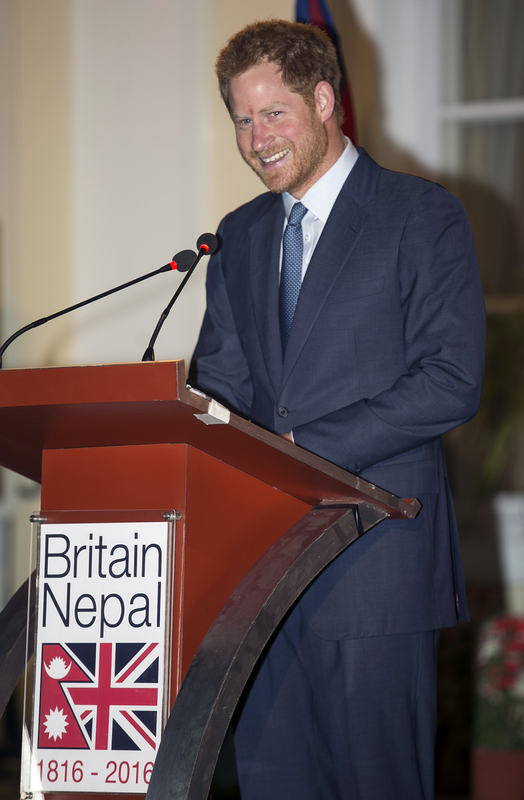 During a recent tour of Nepal, Prince Harry took a feminist stance with a rousing speech as part of the Nepal Girl Summit in the city of Kathmandu, in which he called for action in supporting women's rights. While the unique challenges faced by girls is not a topic I have spoken much about in the past, I think it's important to acknowledge something that has become obvious to me and is already known to everyone in this room: There are way too many obstacles between girls and the opportunities they deserve... Whether it's a girl in Lesotho living with HIV; or the talented young woman in Britain who doesn't get taken seriously because of where she grew up; or the 14-year-old girl forced out of school so she can get married here in Nepal; we need to acknowledge that so many countries and cultures are failing to protect the opportunities of young women and girls in the way they do for boys. I believe it is vitally important for men like me to acknowledge this as loudly and openly as role models do like President Bhandari, the U.S. First Lady Michelle Obama and activists like Malala [Yousafzai]... As the First Lady has said, change needs to come from the bottom up. We won't unlock these opportunities for young women and girls unless we can change the mind-set of every family and community. To achieve this, it cannot just be women who speak up for girls. While he mentioned that he hasn't spoken about women's issues often, this isn't the first time Prince Harry has had some powerful words in support of women. In 2013, he recorded a video message which was shown during the Chime For Change charity concert in London. Among the highlights he said, “We need to focus on the issues that afflict women and girls around the world, and we need to do it now... We know when women are empowered they immeasurably improve the lives of everyone around them.” During this message he also called for men to step up to the plate and treat women with the respect and justice they deserve. Bravo, Harry! Prince Harry's outspokenness is a very positive step in the fight for women's rights around the globe. In the Nepal speech he specifically called out the "62 million girls" who "are not getting the education they deserve," which comes right on the heels of Michelle Obama teaming up with several pop singers to release the charity single "This Is For My Girls" to benefit her Let Girls Learn initiative. We need more men to follow in these brave women's footsteps, and Prince Harry is just one in the growing list of high-profile men committed to gender equality in all forms and working to spread this important message.